We've about reached the end of the window for Hugo Award voting. As events turned out, I read nowhere near as much of the nominated material as I'd hoped. As a result, I can honestly vote in only a small number of categories. I.e., there are just a few categories where I've read or seen all the material. In the case of the art categories, I simply don't have strong enough views to make a choice. Much of the art looks of high quality. I've seen many of the movies, etc., in the "best dramatic presentation" categories, but not all of it in either category. If something had struck me as a work of truly extraordinary merit, I might have voted - perhaps trying to track down and watch the items I'm missing for the sake of fairness. But in the end, I won't be voting in those categories. I would be very happy to see Captain America: The Winter Soldier or Interstellar win in the "long" category. I would be happy to see "The Mountain and the Viper" win in the "short" category. I only ever managed to read two of the nominated novels - Skin Game (which I discussed briefly in a recent post) and The Goblin Emperor. Both are well-crafted novels in quite different ways, but I haven't read enough (i.e. any!) of their opposition to vote for them with confidence. Neither is so good as to be an obvious winner (indeed, both have weaknesses... although I must say that I found The Goblin Emperor very entertaining). In the end, I am going to vote in only the following categories: "Best Novelette", "Best Short Story", "Best Related Work", and "Best Graphic Story". I will vote for No Award in only one case - for me, voting in that way is a fairly extreme step - but I won't allocate votes to anything that I have serious doubts about as being worthy for a Hugo Award. I'll base my votes in the relevant categories entirely on what I see as the merits. For "Best Novelette" I will vote for "The Day the World Turned Upside Down", by Thomas Olde Heuvelt. For "Best Short Story" I will vote for "Totaled", by Kary English. For "Best Related Work" I will, indeed, vote first for No Award. I will vote second for Ken Burnside, "The Hot Equations: Thermodynamics and Military SF": it does not seem to me sufficiently meritorious to win, but if there is going to be a winner then this is the most deserving. For "Best Graphic Story" I will vote first for Ms. Marvel Vol. 1 and second for Saga Volume Three. As I have said before, I will not be trying to punish works or authors merely for being on the Sad Puppies slate (or even the Rabid Puppies slate). As an understatement, I do not have a good opinion of the people involved with promoting Rabid Puppies. That's all I'll say about that. I'm prepared to acknowledge that there are well-meaning and decent people involved with Sad Puppies, and I'll add (again) that some of the flak they have received has been unfair, hurtful, and excessive. That makes me disinclined to add to all the nasty imputations about their characters and their motives. Nonetheless, even the more moderate Sad Puppies campaign has been dreadfully misguided and poorly thought out. I must also say that I've seen people involved in that campaign, people from whom I'd hope for better, engage online in indefensible vitriol. I'll leave it there, except to add that if, reasonably enough, they want to be treated with charity and civility, they might also take care to extend it to others. Even if there is a legitimate grain of truth somewhere amongst the complaints of the Sad Puppies group, their actions have led to an exceptionally weak Hugo field this year and to some specific perverse outcomes. If the Sad Puppies campaigners merely thought that there is a "usual suspects" tendency in recent Hugo nomination lists, and that politically conservative authors are often overlooked in recent times, they could have simply argued their case based on evidence. Likewise, they could have taken far wiser, far more moderate - far less destructive - actions to identify some genuinely outstanding works that might otherwise have been missed. What we saw this year, with politicised voting on an unprecedented scale, approached the level of sabotaging the awards. I repeat my hope that the Sad Puppies campaign will not take place next year, at least in anything like the same form. If it does, my attitude will definitely harden. I've been rather mild about the Sad Puppies affair compared to many others in SF fandom, and I think I can justify that, but enough is enough. Over on the Cogito blog, I'm publishing a two-part article on the controversial topic of cultural Marxism - which includes the issue of whether such a thing even exists. The first of the two posts appears here. 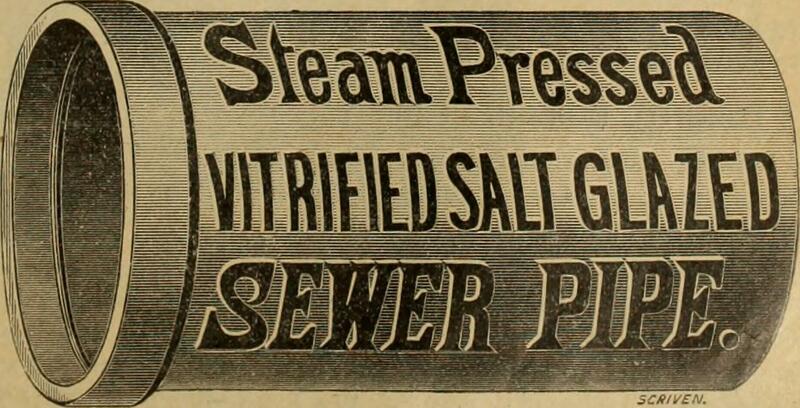 I have a new post about the Gawker site's gutter journalism over on the Cogito blog. Just quickly, I was not overwhelmed Skin Game - the 15th novel in Jim Butcher's Dresden Files series - but it does show what everyone told me: that Butcher is a skilled and serious craftsman. Again and again, he brings complex situations and perceptions alive with astute first-person writing. The story basically involves a supernatural heist, complete with backstabbings and betrayals - plus cleverly choreographed magical battles. This is not necessarily my kind of thing, though I expect I'd have found Skin Game more enjoyable if I'd come to it with a previous knowledge of the series. The character interactions are clearly important, but they'd be more meaningful for someone already familiar with these characters, and perhaps emotionally invested in them and their fates. Butcher has a monstrous fan following, and I can see why, even if this book, taken in isolation, did not strike me as so extraordinary as to merit an important international literary award. I'd not begrudge Skin Game a Hugo Award if it works out that way. It is on the ballot at least partly because of its appearance on the "puppies" slates, but that in no way shows that either the book or its author is undeserving. I'll leave it at that, I won't be voting it down merely because of the Sad Puppies situation, but I'll see whether any of the other nominated novels strike me as more obvious winners in the category or inspire me to greater eloquence. The nominations list has been announced for this year's World Fantasy Awards. The list includes a collection by talented Australian author Angela Slatter... and another by one of my dearest friends, Australian author/editor/critic Janeen Webb. The latter, Death at the Blue Elephant, is especially dear to my heart, not only because of my affection for its author, but also because I was honoured to launch it officially in Melbourne last year. It is a very strong collection indeed. Note that there is little, if any, overlap between these lists and the "puppies" slates that dominate the Hugo Awards nominations this year. One item that is both Hugo nominated and WFA nominated is The Goblin Emperor. However, it was not on the slates of the "Sad Puppies" and "Rabid Puppies" groups. As I've said before, the puppies may have had a worthwhile role if they'd genuinely been seeking out the best quality work that might normally be overlooked because of an alleged "usual suspects" mentality or even some kind of suspected or alleged bias at the Hugos against politically conservative authors. But most of what they did was just promoting their own narrow group of preferred authors. A more genuine exercise might have thrown up brilliant new work by the likes of Angela Slatter or Janeen Webb. I have not engaged in over-the-top rhetoric attacking the political motivations and moral characters of the "puppies", and I will not do so, but I do remain unimpressed by their slate-making exercise. Phil Torres has a new book due late this year from Pitchstone: The End: What Science and Religion Tell Us about the Apocalypse. You might want to watch out for it - I wrote a foreword for the book, having been provided with a copy of the manuscript. I wouldn't have done this if I didn't think it was a terrific book. Torres has done a good job of this, discussing planetary and civilizational risks and what we might be able to do about them. His point about religion is not that any of it is true; it's that the world is full of apocalyptic ideologues who not only believe prophecies of the last days, but are actually prepared to do what they can to bring about Armageddon. He goes into this at considerable and fascinating length. The title of this article places the word "Islamophobia" in quotation marks for the very good reason that I propose to talk about the trouble with the word itself. First, this is not an innocent word. It has a specific, very recent origin and history, particularly a history of deliberate politicking for its acceptance. It is all too easy to use this new word, "Islamphobia" - and with it the very idea of Islamophobia - as a stick to beat people who are attempting to engage in genuine dialogue about the nature of Islam, particularly its more radical and/or political forms. This is not to deny that some dislike of Islam, or impatience with Muslims and their spiritual leaders, has a quasi-racist character, motivated by parochialism and xenophobia, and sometimes a racist dislike of Arabs in particular. "Islamophobia" is a suspect word, but there is clearly such a thing as anti-Muslim bigotry. It is not coincidental that so much of the public criticism of Islam as a religion, and of Muslims and their practices, emanates from European political parties and associated groups found on the extreme right. These organisations typically promote an intense, even bigoted nationalism – combined with what they portray as a defence of Christian traditions and values, and an endangered “Christian identity.” They thrive on a fear of strange cultures and a fear of change. An obvious problem for critics of Islam who do not share these values is that they may find themselves painted with the same brush. Conversely, extreme-right critics of Islam can gain a degree of respectability by co-opting issues and adopting stances that many politicians and members of the public find compelling. E.g., extreme-right figures have attacked such practices as forced marriages, honour-killings, female genital mutilation, and highly conservative apparel for women such as the burqa and the chador. All of these are legitimate targets for criticism. At the same time, many Muslims in Western countries continue to suffer from suspicion, cultural and personal misunderstanding, discrimination, and outright intolerance that sometimes rises to the level of harassment and violence. It’s legitimate to oppose this bigotry while also fearing Islamist groups that seek to impose some version of Islam by force. The situation creates a complex set of advantages, disadvantages, and risks. The extreme right benefits from the availability of politically respectable criticisms of Islamic thought and associated cultural practices. As this goes on, however, there is also a risk that the word “Islamophobia” will be used to demonize and intimidate individuals whose hostility to Islamism, or even to Islam itself, is based on what they perceive as its faults. In particular, we should remember that Islam contains ideas, and in a liberal democracy ideas are fair targets for criticism or repudiation. Religious doctrines influence the social and political attitudes of their adherents in ways that merit public comment (favourable or otherwise), and many religious leaders and organizations exert immense power or influence. It is in the public interest that all this be subjected to monitoring and criticism. Indeed, there are reasons why right-wing organizations have borrowed arguments based on feminism and secularism. These arguments are useful precisely because they have an intellectual and emotional appeal independent of their convenience to unpleasant opportunists. Regardless of who uses these arguments, they plausibly apply to certain elements of Islam, or at least to attitudes and practices associated with it. In any event, it is an inescapable fact that political Islam is a threat to global peace and to liberal ideals. Whether or not they are put in good faith on a particular occasion, nothing precludes the arguments being put sincerely, and perhaps cogently, by individuals with legitimate concerns. Thus, there are genuine reasons for some people who are not racists, cultural supremacists, or anything of the sort, to criticize Islam, or certain forms and manifestations of Islam, or to express hostility towards it. These relate to disapproval of various doctrines, canons of conduct, associated cultural practices, and so on, to the power wielded by Islamic leaders and organisational structures, and increasingly to the ambitions and actions of Islamists such as ISIS. A number of lessons can be drawn from all this. One is that opponents of Islam, or some of its forms and manifestations, cannot reasonably be expected to keep quiet when accused of racism or the quasi-racism of “Islamophobia.” When these accusations are misdirected, they are likely to inflame passions even further, though they may intimidate some individuals into silence. This suggests that we understand that racism and bigotry do not underlie all hostility to Islam. Beyond a certain point, there is too much disadvantage in walking on eggshells. We don't have to do it all our lives. Key Words: Russell Blackford, ISIS, Islam, “Islamophobia”, honour-killings, female genital mutilation. Note: This short article was first published by what was then the Secular Global Institute in September 2014. 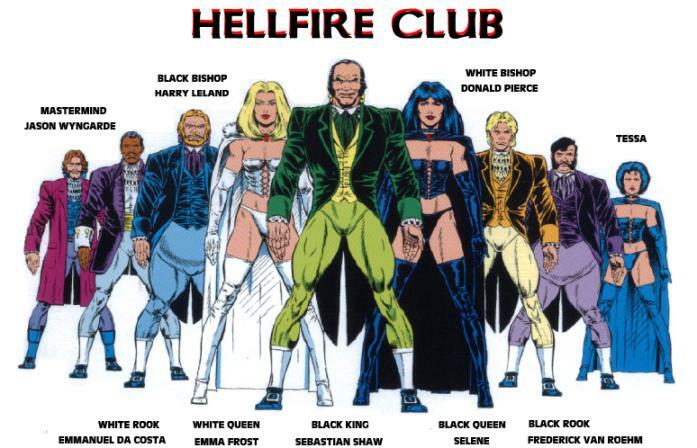 Now and then, I am asked why I named this blog “The Hellfire Club” (it was originally “Metamagician and the Hellfire Club”, but that’s another story). The primary reference, of course, is to the libertine clubs of the 18th century that used this name. Members of those organisations thumbed their noses at the sexual and other mores of the time, and one of the hints in the title of the blog was that this would, ideally, be a blog for a fairly tight-knit group of people who would not have much regard for conventional moral ideas, sacred cows, unexamined social assumptions, and the like. The blog attracted some (modest) popularity, and has gained an audience that is critical, thoughtful, and (quite rightly) happy to disagree with my views. So it is certainly not the tight-knit bunch of my friends that I expected way back in 2006. Still, I think the part about not just accepting social convention at face value still applies. This is a place where many conventional notions of virtue and moral goodness are considered … questionable. And not just conventional ones, favoured by the social majority. All forms of dogma, authoritarianism, moralism, and moral panics and posturing are treated with skepticism here. As I’ve said before (on the old site), it has never been solely, primarily, or dedicatedly an atheist blog, so the title was not especially about the idea that we are unbelievers on our way to Hell (in the view of theologically orthodox Christians). However, I welcome that implication: my co-editorship of 50 Voices of Disbelief (followed by my co-authorship of the forthcoming 50 Great Myths About Atheism) got me more involved in the organised atheist movement, and it certainly makes the scornful joke more relevant. Of course, there’s also the association with the villainous Hellfire Club of the X-MEN mythos, itself an embroidered version of the original libertine clubs. Those Hellfire Club members – particularly Emma Frost – are almost the blog’s mascots. This story reveals that a disciplinary warning, for employee misconduct, has been issued against Q&A executive producer Peter McEvoy over the recent appearance of terrorism suspect Zaky Mallah on the show. Mallah was allowed to ask a prepared question from the audience - and to enter into a brief exchange with a panellist. I am no fan of an Islamist hothead, if that's how he's best described, such as Mallah. His only credentials for appearing on the show seem to relate to his past brush with the law, and giving him such an opportunity to air his views to a mass audience could be considered a poor decision: in effect, it rewards his bad conduct. It turns out, furthermore, that Mallah has made at least one vile, sexist comment on Twitter, aimed at two female journalists. All that said, many people get public exposure from bad behaviour that makes them notorious, and at least Mallah was invited on the show to discuss an issue to which his views and his troubled past had some relevance. As for the sexist tweet: first, many people, perhaps including many politicians, would be considered "inappropriate" to appear on television if all it took was one obnoxious public comment (whether made on Twitter or elsewhere); second, people should not normally be considered so tainted as to be beyond the pale, and refused platforms, merely for something said (if what he said was defamatory, as it may well have been, there are remedies available in the civil courts); and third, a broadcaster cannot, and should not, trawl through the Twitter feeds of all potential guests to ensure that platforms are given only to people who are squeaky clean. All things considered, I'm not convinced that this really was such a bad call by McEvoy. I am especially concerned that this action against McEvoy has happened so soon after the dismissal of Scott McIntyre by the SBS. If an employee repeatedly makes poor, embarrassing judgments, it can add up to unsatisfactory performance; and that may, indeed, eventually be grounds for dismissal. But even if I could agree that Peter McEvoy displayed poor judgment with Q&A's invitation to Mallah, an act of poor judgment is not the same as an act of misconduct such as to merit disciplinary action. It sometimes appears that disciplinary actions by employers, including outright dismissals and menacing demands for resignations, are being taken at the drop of a hat. In the case of this action taken against Peter McEvoy, the ABC has itself shown atrocious judgment, and it has created an impression of bowing to pressure from the executive government. The government itself appears far too willing to use its power to go after specific individuals who displease it. I expect to say more about this sorry chain of events, and meanwhile I look forward to what comes of the review of Q&A now being conducted by Shaun Brown and Ray Martin. When it appears, I'll scrutinise their report with interest.